Wet day at Chesterton Junction. 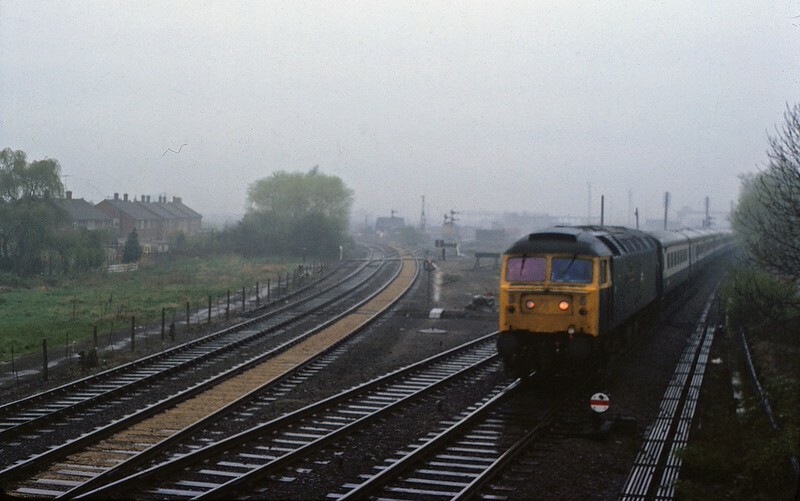 47585 " County of Cambridgeshire " heads towards Cambridge on a Kings Lynn to Liverpool Street working in far from ideal lighting conditions.11th April 1981. The St Ives branch curves in from the left.